In preparation for the posting on the isolation of Qatar, I found one news item particularly bizarre- the “eastern government” of Libya based in Tobruk, had gone along with Saudi Arabia, and cut off diplomatic relations with Qatar. 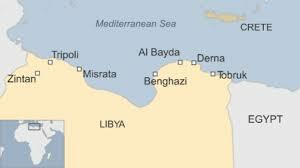 There is no eastern Libya, but the eastern part of Libya is being administered by a government in Tobruk. Normally, there is only one internationally recognized head of state and legislative body. Why would a small break away capital, like Tobruk even want to get involved in the isolation of Qatar led by the Saudis? I think I have the answer. Nothing is normal in Libya. At least, in the last 3 years, what happens doesn’t seem normal or logical to outsiders. The civil war was fought, presumably, to allow for the Libyans to form a democratically elected government. Since June 2014, two Libyan capitals exist – the east side (Tobruk) and west side (Tripoli) governments. Many consider there are now three governmental authorities, two in Tripoli, (GNC and GNA) and one in Tobruk. This is not counting many militant groups, including ISIS which control parts of Libya. The UN through its special envoy to unite the country. Some countries recognize Tobruk as the legitimate government of Libya, while others recognize Tripoli. A link is provided below from Wikipedia providing a very good summary of the breakup of Libya and the recognition of various countries. There has been no formal division of the country. As one can see from the map below, Tobruk borders Egypt. On the western side, Tunisia is on the border, with Algeria further to the south. There was a tremendous celebration of the new freedoms which came at the end of the Libyan Civil War. The first Civil War lasted 9 months, and ended in October 2011 with the death of Gaddafi. However, it was far easier to make war against the Gaddafi regime, than to create a new government among the various rivals. This is a period of failed opportunity to create a unified government, and a return to open civil war in Libya. It is a pattern often seen when an all controlling tyrannical regime is forced out of office. Gaddafi loyalism after the Libyan Civil War refers to sympathetic sentiment towards the overthrown government of Muammar Gaddafi, who was killed in October 2011. It has been responsible for some of the ongoing postwar violence in Libya, though the degree of its involvement has been disputed in a number of instances. Sympathy for Gaddafi and his fallen government is viewed highly negatively by current Libyan authorities—both the legal government and extralegal militias—and parts of general society in postwar Libya, and even accusations of it can provoke harsh responses. In May 2012, the democratically elected postwar government passed legislation imposing severe penalties for anyone giving favourable publicity to Gaddafi, his family, their regime or ideas, as well as anything denigrating the new government and its institutions or otherwise judged to be damaging to public morale. Derisively called tahloob (“algae”) by anti-Gaddafi Libyans, suspected loyalists have faced strong persecution following the war. Perhaps 7,000 loyalist soldiers, as well as civilians accused of support for Gaddafi are being held in government prisons. Amnesty International has reported large scale torture and other mistreatment and executions, of those perceived as enemies of the new government. Reports and rumours of organised pro-Gaddafi activity have persisted since the war’s end. The Libyan Popular National Movement was organised in exile on 15 February 2012 (the first anniversary of the protests that led to the civil war) by former officials in the Gaddafi government. The party, banned from participating in Libyan elections, may have also cultivated links with armed pro-Gaddafi groups in Libya. Statements from the party sometimes appear on websites affiliated with the so-called “Green Resistance” (after the sole colour of Gaddafi’s flag), a term sometimes used by sympathisers to refer to supposed pro-Gaddafi militant groups. On July 7, 2012, the National Transitional Council, in power since the Libyan Civil War, supervised democratic elections for a 200-member General National Congress to replace the Council. The assembly was to choose a prime minister and organize parliamentary elections in 2013. A process to write a constitution was also to be determined. Unrest driven by armed militias, ethnic minority and radical groups undermined the process and the government for the years following the overthrowing of Muammar Gaddafi. While internal apathy towards democratic reforms slowed the process, external bodies such as the European Union were still pressing for the establishment of a national dialogue to build consensus for the drafting of a new constitution to take place before the end of 2014. Parliamentary elections were scheduled to be held on June 25, 2014 in a move aimed at stabilizing the country and quelling the unrest. The second Libyan Civil War is an ongoing conflict among rival groups seeking control of the territory of Libya. The conflict has been mostly between the government of the House of Representatives (HoR) that was elected democratically in 2014, also known as the “Tobruk government” and internationally recognized as the “Libyan government”; and the rival General National Congress (GNC) endorsed government, also called the “National Salvation Government”, based in the capital Tripoli established after Operation Libya Dawn. 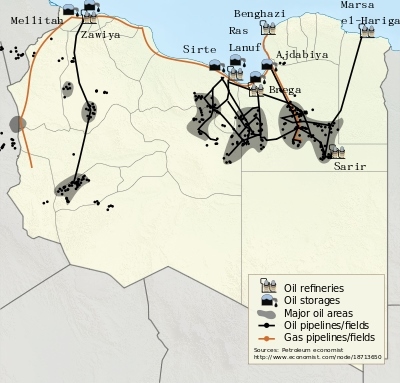 The PFG has been blamed for the establishment of ISIL, or at least the damage done to oil storage facilities in Misrata. Now ISIL has occupied parts of Libya, and is a threat to both Tobrok and Tripoli governments. A listing of the various rival groups now occupying Libya is provided in the Links section below. 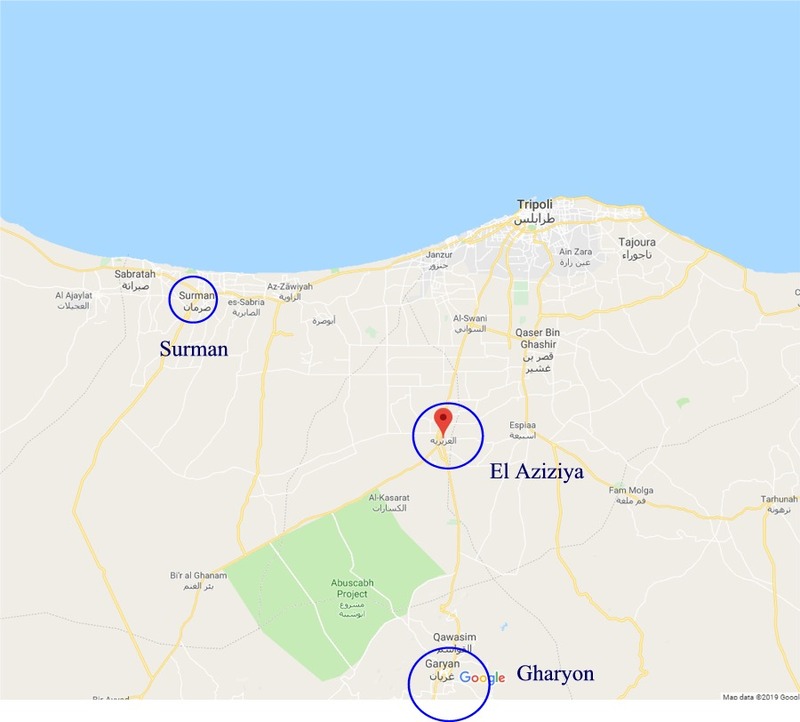 Khalfa Haftar, US friend or Re-Unification Talks Spoiler? On March 2, 2015, Khalfa Haftar was named as the chief of the army for the Tobruk based government. As a young army officer, Haftar took part in the coup that brought Muammar Gaddafi to power in 1969, assisting Gaddafi in the overthrow of Libya’s King Idris. Shortly thereafter, Haftar became a top military officer for Gadhafi. He commanded Libyan troops supporting Egyptian troops entering Israeli-occupied Sinai in 1973. Like other members of the Free Unionist Officers (the junta that toppled the monarchy), Haftar was a secularist and a Nasserist. He was a member of the Revolutionary Command Council which governed Libya in the immediate aftermath of the coup. Haftar later became Gaddafi’s military chief of staff. 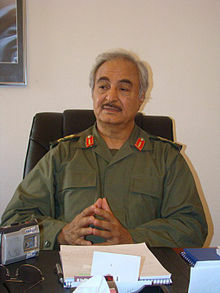 In the late 1980s, Haftar commanded Libyan forces during the Chadian–Libyan conflict, which ended in defeat for Libya. By 1986, Haffar had attained the rank of colonel, and was then the chief officer in command of Gaddafi’s military forces in Chad in the Chadian–Libyan conflict. During the war, in which the Libyan forces were either captured or driven back across the border, Haftar and 600-700 of his men were captured as prisoners of war, and incarcerated in 1987 after their defeat in the Ouadi Doum air raid. Shortly after this disastrous battle, Gaddafi disavowed Haftar and the other Libyan prisoners of war who were captured by Chad. One possible contributing factor to Gaddafi’s repudiation of Haftar and of other captured prisoners of war may have been the fact that Gaddafi had earlier signed an agreement to withdraw all Libyan forces from Chad, and Haftar’s operations inside of Chad had been in violation of this agreement. Another possible reason given for Gaddafi’s abandonment of Haftar was the potential that Haftar might return to Libya as a hero and thus pose a threat to Gaddafi’s rule itself. In any event, Gaddafi’s repudiation clearly served to embitter Haftar towards Gaddafi. Gaddafi demanded Haftar’s soldiers be returned to Libya, but the Americans arranged for them to fly to Zaire instead. There, half of his soldiers decided to return to Libya. By 1988, Haftar had aligned himself with the National Front for the Salvation of Libya, a U.S. supported opposition group. When U.S. financial aid to Zaire was not forthcoming, Zaire expelled the remainder to Kenya. Kenya only provided temporary residence, and the American CIA negotiated a settlement around 1990, enabling Heftar and 300 of his soldiers to move to the United States under the U.S. refugee programme. In March 1996, Haftar took part in a failed uprising against Gaddafi in the mountains of eastern Libya, before returning to the U.S.Haftar moved to suburban Virginia outside Washington, D.C., living in Falls Church until 2007. He then moved to Vienna, Virginia. In 2011, Haftar return to Libya to support the rebellion against Gaddafi. As of August 2016, Haftar has refused to support the new United Nations Security Council endorsed Government of National Accord, which has led the United States and allies to believe he is jeopardizing the stability of Libya. 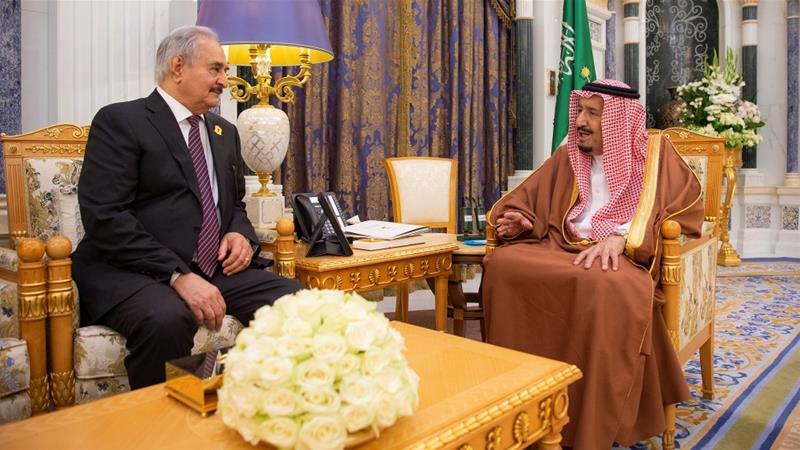 The United Arab Emirates and Egypt continue to support Haftar. Middle East Eye has reported that British, French, U.S. and United Arab Emirates air forces have assisted Haftar’s forces, after analysing leaked air traffic control recordings. In November 2016, Haftar made a second trip to Russia to meet with the Foreign Minister Sergei Lavrov and Defense Minister Sergey Shoygu. It was reported that while he was seeking weapons and Russia’s backing, Russia was holding off pending the new Trump Administration. On 26 December, it was reported that Russia had thrown its weight behind Haftar, saying he must have a role in the leadership of Libya. Haftar was likely seen as Washington’s inside man in Libya in 2011, as he spent 21 years in the US, likely working for the CIA or related organizations in Virginia. Yet, he is probably seen today as a leader most likely to impede unification efforts, leading to an increase the presence of ISIS and other radical groups. It is noted that both the Tobruk and Tripoli governments can claim their governments are representative of the people as they have representatives which were selected by election, or officials which were elected or approved by a legislative branch. The supporters of the Tobruk government are the supporters of the Qatar blockade: Saudi Arabia, Egypt and UAE. Turkey and Qatar backs the Tripoli based GNC government. There are many splinter groups besides the Tobruk and Tripoli “camps” seeking to control parts of Libya. 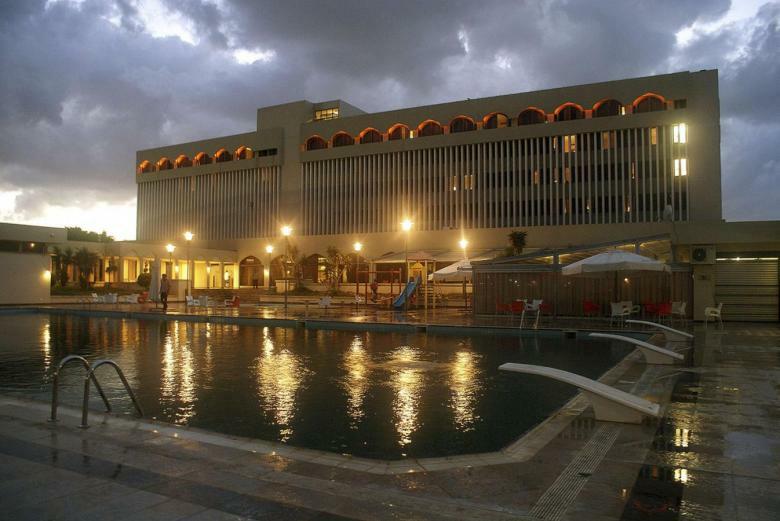 There are two governmental authorities in Tripoli, the General National Congress (GNC) and the General National Accord (GNA) government. The EU, US and the United Nations all back the GNA government, but this has really never been completely formed. Thus, Libya remains a very divided and unstable country. One can understand how the Tobruk government would naturally align themselves with Saudi Arabia, Egypt, UAE and Bahrain and cut off diplomatic relations with Qatar. Yemen has also joined in the cutting of diplomatic relations with Qatar. If Yemen wants to greatly escalate the conflict, it could close the Straits of Bab el-Mandeb, essentially closing Qatar’s exports through the Suez canal. It could do the same to Libya. It would do this only with the blessing of Saudi Arabia, and its new Crown Prince Mohammed bin Salman. The division of Libya into east and west administrative areas coincide with the historical coastal regions of of Cyrenaica (includes Benghazi) and Tripolitania. The ancient history of Libya is discussed in the links below. I hope some day to visit Cyrene and other historical cities such as Sabratha in Libya.